This site was created to bring us face-to-face with those who experienced the World War II internment of Japanese Americans – a critical part of 20th century American history still largely unknown. Explore the causes of internment, the mass roundup and relocation, and the FBI raids on Japanese Americans. Explore life in the camps, the moral and legal issues, and how some internees served in the military, while others refused to be drafted. Explore the end of internment and resettlement, the long struggle for justice and reparations, the ongoing impact today, and the possibility it could happen again. Each of these sections contains 7 – 10 pages which focus on key historical events or themes related to internment. The presentations are further enriched with documents, photos, poetry, diaries, audio resources, weblinks and more which encourage you to “revisit” history. All the videos used on the site are available to purchase or rent. 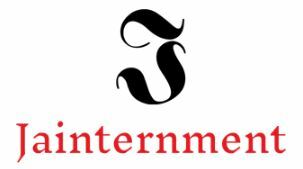 We encourage you to use them in your classroom, library, church or community groups to continue this exploration into the lessons of internment for all Americans. Provides information on NAATA (project producer), the California Civil Liberties Public Education Program (project funder), copyright information, video and audio programs used in this Web-site, and site credits. On December 7, 1941, Japan bombed Pearl Harbor, Hawaii. Roundup photoThe following day, the US declared war on Japan. Despite the government’s own evidence that Japanese Americans posed no military threat, President Roosevelt signed Executive Order 9066, authorizing the removal and incarceration of over 110,000 Japanese Americans. Two-thirds were American citizens. Over half were children. The text and video clips featured in this section present glimpses of the upheaval, uncertainty, terror and outrage experienced during the Japanese American Internment. Copyright © 2019 Japanese American Internment. All rights reserved.